Automotive industry executives and analysts recently took a shot at envisioning what the future holds for electric vehicles. “We think this is more of a marathon than a sprint,” said Mike Tinskey, associate director for Ford Motor Co.'s Global Electric Vehicle Infrastructure. Tinskey was one of nearly 60 speakers and panelists at the Automotive Megatrends USA 2012 conference last week in Dearborn. During the event experts discussed numerous issues facing the automotive industry, as well as the reality of electric vehicles. While there were varying opinions regarding electric vehicles -- plug-in electric and all-electric -- two ideas were nearly universal: Costs need to decline for the vehicles to become mainstream, and electric vehicles will remain a niche market for years to come. According to Thilo Koslowski, Gartner vice president and lead automotive analyst, the 18,000 electric vehicles sold in 2011 accounted for about 0.14 percent of the market. He predicts by the end of this year, that market share will grow to 0.74 – about 100,000 vehicles. Koslowski, as well as numerous other experts, said that although the numbers are small, it is not uncommon for new technologies to take decades to catch on. It took 20 years for Mobile phones to reach market saturation. For the first decade the predictions were that mobile communications would not be mass market. In 1995, 10 years into the history of mobile phones, penetration in the UK was just 7%. In 1998 it was about 25%, but by 1999 it was 46%, that was the 'tipping point'. In 1999 one mobile phone was sold in the UK every 4 seconds." By 2004, there were more mobile phones in the UK than people – a penetration level of more than 100%. Similarly it took a decade for Internet use to reach 1 Billion users from only 16 Million or 0.4% of the Worlds population in 1995. Automakers, such as Ford, are diversifying their lineups to include more electric vehicles. About 1 percent of Ford’s fleet in 2011 was is electrified, including the Ford Transit Connect Electric. By 2020, the automaker anticipates to have 10 to 25 percent of its global fleet electrified with plug-in or hybrid technology. 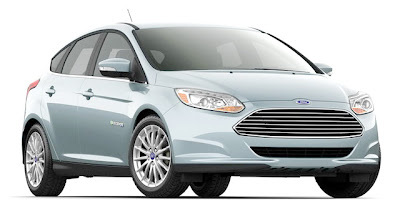 Of that 2020 lineup, Ford expects hybrids to be 70 percent of the fleet, hybrid-plug-ins to be 20-25 percent and all-electric vehicles to remain a niche market of about 5 percent.